“It is in India’s interest to see China strong enough to provide credible bi-polarity in the interregnum during which the world moves towards the establishment of a globally respected United Nations system; one which would be capable of enforcing its mandate without let or hindrance. At the same time it is vital to India’s interest to NEVER underestimate China’s threat potential”. Excerpt from a talk delivered at the United Service Institution by the writer in 1999 “Dealing with China in the 21st Century”*. India and China represent two of the earliest civilizations that have been continuously able to hold on to their older traditions since the dawn of history. Historically, China has had a tradition of world dominance through power projection (the Middle Kingdom ideation). India, on the other hand, has never aspired to military or economic dominance. In ancient times when India was a powerful country the only influence it sought to project was one of peace and harmony. Having cast a quick glance at that earlier period it is time to look at the growth patterns adopted by the two countries since regaining their freedom after the Second World War. China fought its way to freedom. India, having taken recourse to Gandhian pacifism had freedom delivered to it. There was an enormous price tag attached to the pacific route to freedom – the violent partition of the country. After establishment of Chinese unity through the bloody route the Chinese leaders understood more comprehensively than anyone else that power in the ultimate analysis did flow from the barrel of the gun. They never had illusions on that score. Having understood the currency of power they went on to occupy Tibet before India was able to consolidate after the trauma of partition. Indian leaders, on the other hand, never having learned from history – in spite of writing magnificent books on it – were not able to grasp the global reality of the period. They tried to build India on the platform of idealism more relevant to the days of Emperor Ashok and possibly the new millennium –when the world finally comes to its senses – rather than to twentieth century reality. They made way for the Chinese in Tibet. They have been making way for the Chinese ever since. A humiliating defeat does not seem to have taught them any lessons. India paid a price for its lack of realism and by the looks of it will continue to pay the price – with graver consequences – in the years ahead. Tragically India moved into the new century with the same mindset that dominated the thinking of its leaders in the past. The digression into past events that are history – a sad history – becomes necessary because the same mindset has persisted except for the brief interregnum under Mrs. Indira Gandhi. Even a leader of the stature of Mr. Vajpayee on a visit to China put another nail in the coffin of the Tibetans by signing that the Chinese had exercised sovereignty over Tibet. Till that time it had generally been maintained that the Chinese had exercised suzerainty from time to time but never sovereignty. What great concession Mr. Vajpayee got in return is not clear. Realistically, Indian leaders rightly felt that they were not in a position to take up cudgels against the giant northern neighbor, but the appeasement did not have to go so far. The UPA government followed the same pattern. The Dalai Lama is a religious leader revered by Indians who believe that a rishi resides in their midst. Tibetan Buddhism spread like wildfire in many parts of the Western world after their people and leaders came in contact with the simple monk, as he describes himself. The adulation that he received and continues to receive has benefited India enormously. Sadly, while governments of several countries spread out the red carpet Indian embassies were told to ignore him altogether. The Dalai Lama’s prestige outside India would not have been so rapid had not the Chinese leaders poured scorn on him in very demeaning terms year-in-year out. They continue to do so. 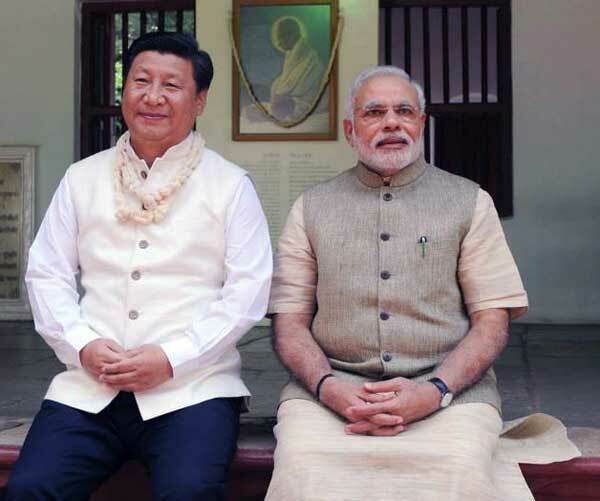 As opposed to the above the Chinese have perfected the art of charming Indian leaders and playing to their egos. Mr. Modi started on a different note during his inauguration at Rashtrpati Bhavan. He surprised India and the world by inviting Lobsang Sangay the Sikyong to it. The latter was given a seat well up in the front rows. The Chinese conveyed their displeasure in no uncertain terms. The government’s attitude towards the Dalai Lama and the Tibetans changed overnight. What is more, the manner in which the celebrations planned in Delhi on the sixtieth anniversary of the arrival of the Dalai Lama in India to thank India for the hospitality shown to the Tibetans was cancelled shocked most Indians and lowered India’s prestige. Sincere appreciation by the Chinese must have been conveyed to the Prime Minister. In all probability it led to Wuhan. Mr. Xi Jinping might have taken a leaf out of the book on Mr. Chou-en-Lai on the halcyon days of Hindi Chini Bhai Bhai under Mr. Nehru. It is said history keeps repeating itself. Mr. Modi is cast in a different mould from Mr. Nehru. May be there were compulsions that obliged him to yield to the Chinese in the hope that India needs time to build up its military and economic power. The difference is that in spite of assurances the Chinese continue to build up their military strength at a very rapid pace. It should ring alarm bells in India. It is understandable that China is strengthening its naval might to take on or deter the Americans in the South China Sea and further into the Pacific beyond the second island chain. However, there is no such urgency or compulsion on the land frontiers. China’s build up in Tibet and opposite Taiwan that it threatens to amalgamate by force should the need arise is being augmented at a very rapid pace. To the extent that new air bases, underground facilities and rapid deployment of strike forces are moving apace. The alarm bells in New Delhi should have become shriller by the day. The deployment of Chinese forces in Tibet is so formidable that no nation or combination of nations can even remotely contemplate military action against Chinese territory anywhere on its mainland. The strength of forces deployed in Tibet and the back-up military regions is so unbelievably formidable that no nation in the world can dream of countering China militarily in Tibet. The question arises that if no nation, or a combination of nations, are in a position to threaten China in Tibet is the buildup for aggression against a neighbor? That neighbor can only be India. The writing on the wall is as clear as it can be. Mr. Xi has been constantly exhorting the PLA to strike at short notice and strike hard against adversaries. Yet our leaders choose to underplay it. They might feel that they have no credible capability to counter it. True some efforts are being made to beef up assets in the Northeast and Ladakh. They are nowhere near commensurate with the formidable nature of the threat. Years ago the governments should have raised the military budget to 2.5 percent of the GDP rather than the insufficient 1.6 to 1.7 percent. China feels strong enough to tell India not to undertake any activities – commercial or otherwise – in the South China Sea. Lately it has also told India to desist from selling technology to Taiwan. There have been other injunctions a well. As opposed to it, the Chinese have been going to great lengths to build up the military capability of its close friend Pakistan. There can be no doubt that China considers the Pakistan military as a force multiplier for China if not on land certainly in the India Ocean. Chinese inroads that are well- documented have taken place in all countries of the subcontinent other than tiny Bhutan. It would be extremely short-sighted of India’s leaders to believe that China will not try its hand to settle the border question on its terms at the time and place of its choosing. As of now India may not come through unscathed. At no time has China or for that matter its ally slowed their pace of military buildup. India has not kept pace. In fact they have privately assured the Chiefs that there will be no war; disastrous advice. Because of it one of the most potent capability that was sanctioned under Defence Minister A K Antony after nearly thirty years of dithering, the Strike Corps for the mountains, has been put on the back burner. The Chinese have won a major victory off the battlefield; confident that without a riposte capability India will always remain vulnerable. In the ongoing interaction with the Chinese it has to be made clear to them in no uncertain terms that any attack on India, regardless of the outcome, would automatically render the accord on Tibet null and void. Today India is the only country in the world that has a locus standi on Tibet. It has gone along with the Chinese occupation without every questioning it in spite of provocations from the Chinese side from time to time. Were India to revoke that agreement many countries in the world would follow suit. The settled question would become unsettled with far-reaching consequences all around. 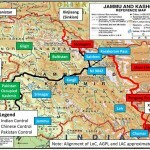 Therefore in the interest of both nations and the region China has to seriously negotiate with India to drawdown on the military buildup in Tibet and to not allow the border dispute to fester indefinitely. Going a step further both old civilizations could sign a Treaty of Perpetual Amity. 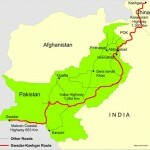 It would usher in an era of peace and prosperity for the region and perhaps the world. Chinese are highly professionals and they focused on economic benefits. They strongly believe over economic power and set aside state to state fight. Sir, I agree with you. Chinese are waiting for the right moment. That moment is not far off, I fear. They are ready to take Taiwan and Arunachal. As for India. It is a nuclear power. Have they ever told anyone that if sovereignty threatened they will use it against China? I think not. All that money spent on nuclear weapons therefore is a waste. What’s the point of such weapons if China doesn’t believe that you will use it? Look at Pak. A small country but they have stated how and when they will use their weapons against India. It needs guts to stand up to playground bullies. No good threatening a bully with a stick if he thinks you don’t have guts to use it.